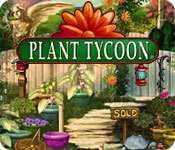 Rated 5 out of 5 by MonkeyNut87 from Plant Tycoon I really love it and that surprised me because I didn't think I would. Rated 5 out of 5 by AdrianaIP from Endless fun This is not a game to be done quickly. Actually it will take months, even years. Just give it an hour or two a day. You can choose to let time elapse when turned off, or to stop it. Both are convenient. If you plan to stop to do something else with the computer, you can let time go on. If you plan to stay away, or go to sleep, you stop time so you don't find your plants dead because of no water. It takes time. Which means that it will be one of those games you have around. And the flowers ARE beautiful. Just keep a record what crosses give you new plants or new flowers. There is a pattern to the flower crossings, and another for the plants. All plants have the same gamut of flowers so the combinations are endless. Fun for years to come! Rated 5 out of 5 by seniorspeed0 from RELAXING, LONG TERM GAME PLAY Once I got the hang of cross pollination and the mutation liquid, I had a lot of fun and surprises. So far I have found 3 of the magic seeds. Only one frustration; I wish I knew what the gestures and picture thoughts of the customers in the nursery meant. It all seems very cryptic to me. I'd like to push them into the fountain! Rated 5 out of 5 by Taminnugget from A great plant breeding game OK I bought this game yeaaaaars ago and I found it again in my stuff recently and I still love it! (13 years ago, good lord) I mean the graphics are decent by today's standards but not shoddy by any means. The games mechanics are good as well. They could use a modern-ish update though. 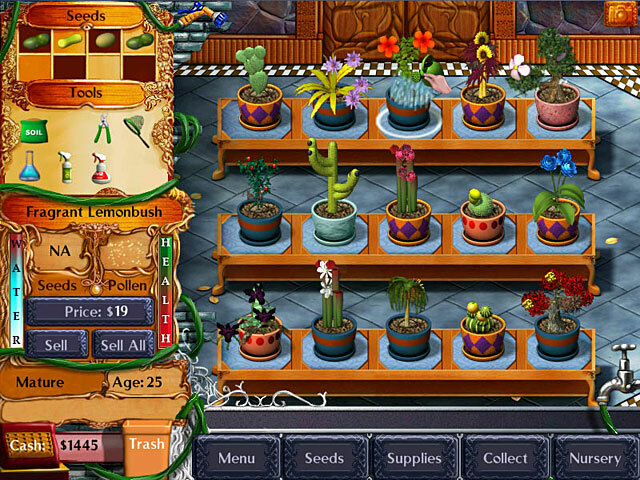 Multiclick and drag, selling plants but being able to tend to your growing plants at the same time, and maybe some other tweaks. But overall it's still a really great game. It's a good time killer but you can also just let it run (while its closed) and come back later if you don't want to baby sit them. My fav thing though is you can change the speed of in game time or just turn it off for a full pause. The breeding system is a bit complex too, you have to breed based on plant type AND flower type. I highly recommend making a table to keep track of it all though. It can get a bit confusing if you rely on memory alone. Either way a great game! 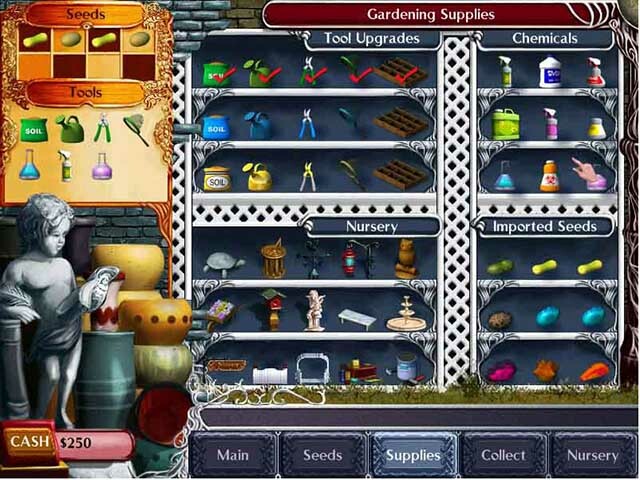 Rated 5 out of 5 by christina1976 from Planttycoon This is one grate little game,I really enjoy playing this at home, on my computer..I recommend this game to any one that likes to play games,as I do.. 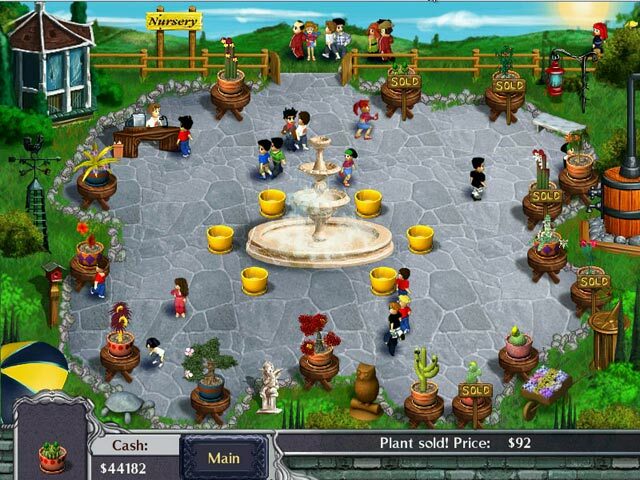 Rated 5 out of 5 by lilpeenut69 from love this game buy it.u cant go wrong with this game. Rated 5 out of 5 by armycaesar from Love it This game is alot of fun. Trying to figure out how to make a magic plant is alot of fun. Rated 5 out of 5 by darshanmodi from superb & relaxing game this is a superb game i love to play it this is an excelant game. but i think it is little costly.